I find the UI (user interface) does not fit my workflow in the Editor. It has big buttons that take up valuable monitor space. For users with small monitors or big documents, real estate is at a premium. I also find that I do not like the selection of tools found in the default toolbar; is it possible to make the appropriate adjustments to make the Editor more space friendly? My Screen is very large and i have much wasted space, how can I use it more effectively? You absolutely can make changes to the toolbars in the Editor. Please see below many of the options available to users with regards to customizing the appearance of the Editor's toolbars. This is not a Complete list of possibilities as the V7 UI in nearly fully customizable. The Editor comes Pre-setup with a common layout that benefits the average user with a Widescreen monitor. This is the Default Scheme and the UI can be reset to this at any time should you find that youve made a mistake or lost key functionality and would like to quickly revert to a functional layout. You can also enter full-screen mode in the Editor by pressing F11 to help maximize screenspace, most hotkeys work in this view, Including Custom ones! Clicking this arrow or pin(see screenshots) will allow you to Compress, Expand, and Hide the toolbar. Note that the toolbar can be thinner, and you can Double Click on any Header to expand and pin that section open. This New UI will resize and remove some of the unnecessary text depending on the width of the editor window. 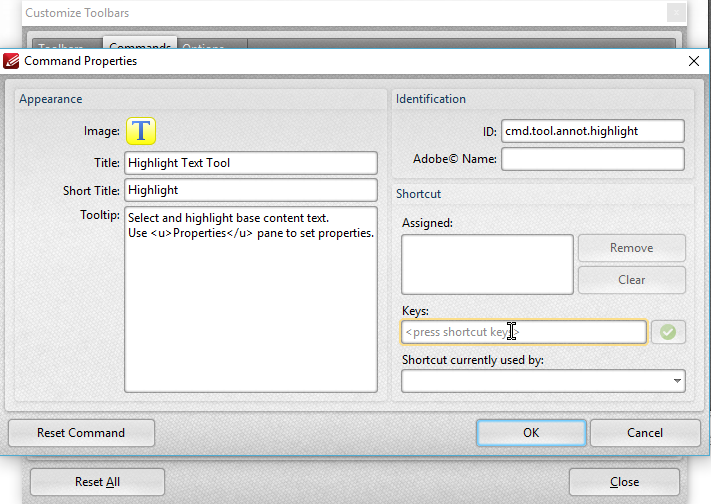 To Make all tool Icons Smaller, Open the Customize Toolbars windows by right clicking on ay toolbar. Then navigate to the options header and check the "Reduce large icons in toolbars" tickbox. In the past, even the above proved to take up too much space. We have since removed the properties bar, and converted it into the format tab; Which also shrinks down with the other headers when the toolbar is unpinned. This will Alter the UI layout, Removing The Ribbon UI, and replacing it with a classic UI appearing more like that of the old versions of our software. This menu is also compressable to save even more space, see the Gif below! **Note: Many of the Menus change slightly with this layout, if you are using Classic UI and encounter an issue to which you must ask support for help, Please make note to us in the initial email so we can assist you better. Before Customizing you must unlock the toolbars, Do this by Right-Clicking the toolbar and selecting Unlock Toolbars. With the Customize toolbar window open (right click a blank piece of toolbar-->Customize toolbars) you can add/remove and move tools within the toolbar. Moving tools: By clicking and dragging an existing tool, you can move it to your desired location. I can drag the tool to my desired location within the toolbar. Inserting Separators can be accomplished by right clicking a tool while the Customize Toolbars > Commands window is open. **Note that you are now able to add tools to the title bar as well as the toolbars! Remove: To remove a tool from the toolbar, you simply click and drag it onto the Customize window. I have chosen Alt+H as my shortcut, then I click on the green check mark to assign it. If there is a conflict, the Editor will provide a warning and the shortcut will not work.